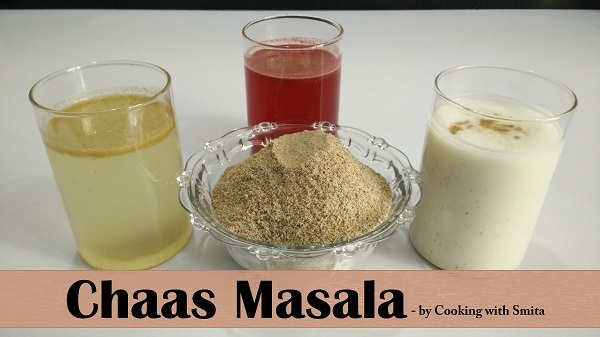 Masala Chhaas is the easiest & quick but refreshing and healthy summer drink made using Curd and Water. 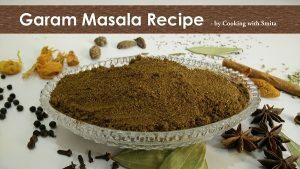 Here I am sharing a secret but easy recipe of Chhaas Masala / Buttermilk Masala. Just add 1/2 tsp. Masala in 200 ml Chhaas and your Masala Chhaas is ready. Sun-dry Cumin seeds for 4 – 5 hours and then grind in a mixer to make a fine powder. You can also roast Cumin seeds in a pan until they turn brown, grind to make a fine powder. I have used Sun-dried Cumin seeds. Black Salt Powder is also readily available in grocery stores in India. I have made it in large quantity to store the Chhaas Masala; you can make the same in a small measurement too. Always use a ratio of 1:2:3 for Salt, Cumin Powder and Black Salt Powder. Add all three ingredients in a large bowl and mix well so that all the ingredients are incorporated well. You can use this masala in making Masala Chhaas, Lemon Juice and even in Kokam Sharbat. Store it in an airtight container for up to 10 – 12 months.